IoT privacy: Will there be any left? 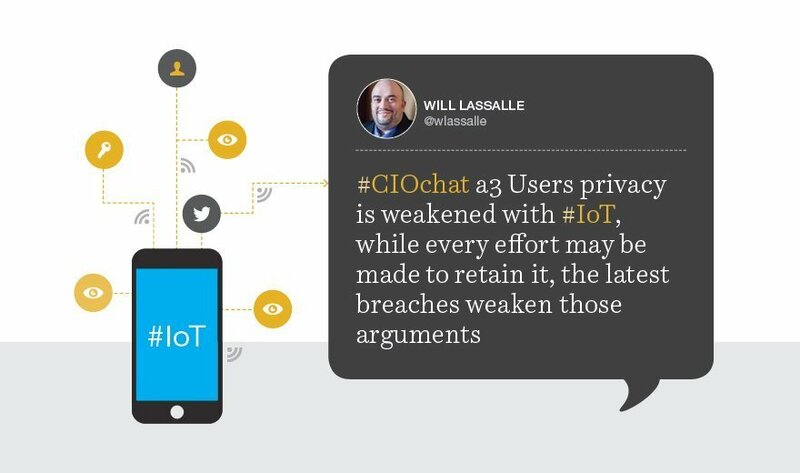 According to Will Lassalle, CIO at JLS Technology USA, and several other SearchCIO followers, IoT technology poses a threat to privacy as we know it, especially given the growing frequency of data breaches. Market research firm IDC agreed that a rocky road is ahead for IoT-based technology, predicting that within two years 90% of all IT networks will have an IoT-based security breach. A 2014 HP Security Research report also found that 80% of the IoT devices they examined raised privacy concerns. Next steps: A column on the recent Ashley Madison hack also highlights the abating state of consumer privacy in a breach-laden world, and why users and businesses should be vigilant. How important do you think IoT privacy is to consumers? As the conversation mentions, I think the importance that consumers place on privacy depends on which consumers you talk to. I’ve certainly seen younger people that are more comfortable with the use of social media give up much more privacy and share information that someone not as comfortable with it would ever disclose. I suspect that IoT privacy will fall into much the same scenario.